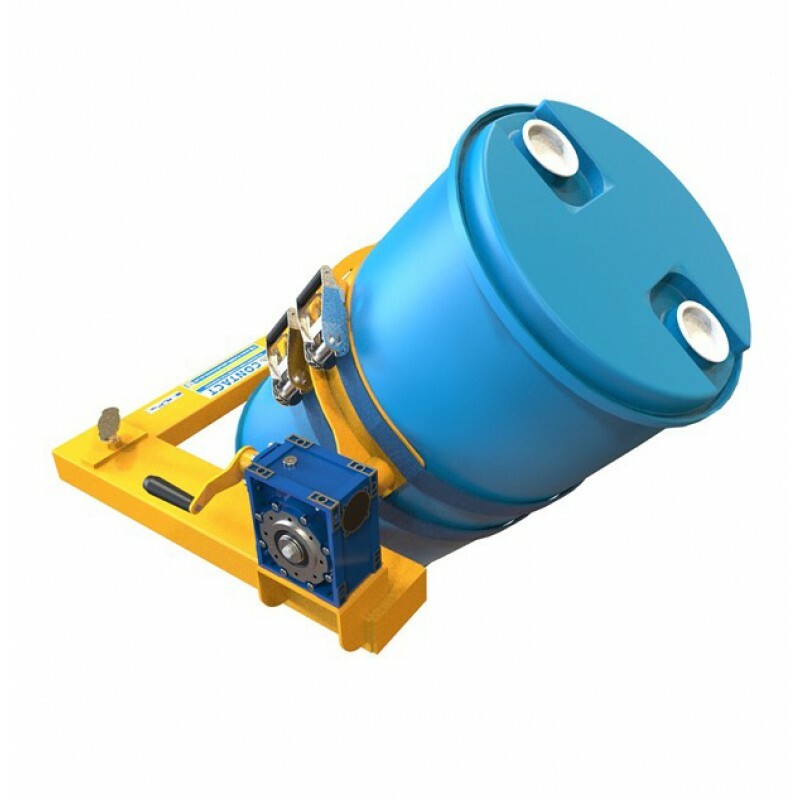 Offering the ability to pick up, rotate and empty contents of drums in a safe, controlled and risk free manor, our forklift drum rotators are the perfect solution for carrying out such drum manipulation tasks. With a high quality gear box connected to a crank handle for up to shoulder height rotation, the drum tipper will allow drums to be rotated through 360 degrees with minimal effort. Designed to suit 210 litre steel drums and also 'L' & 'XL' ring plastic drums, the drums are safely secured in place via two webbing and ratchet straps. Large 'T' screws ensure the forklift drum rotator is safely fastened to the lift truck forks, and like all our forklift attachments, the drum rotator will come fully tested and certified to comply with the latest Health & Safety Regulations. "The drum rotators we had were not safe for 200L plastic drums. With your drum rotator we can now safely rotate plastic drums. 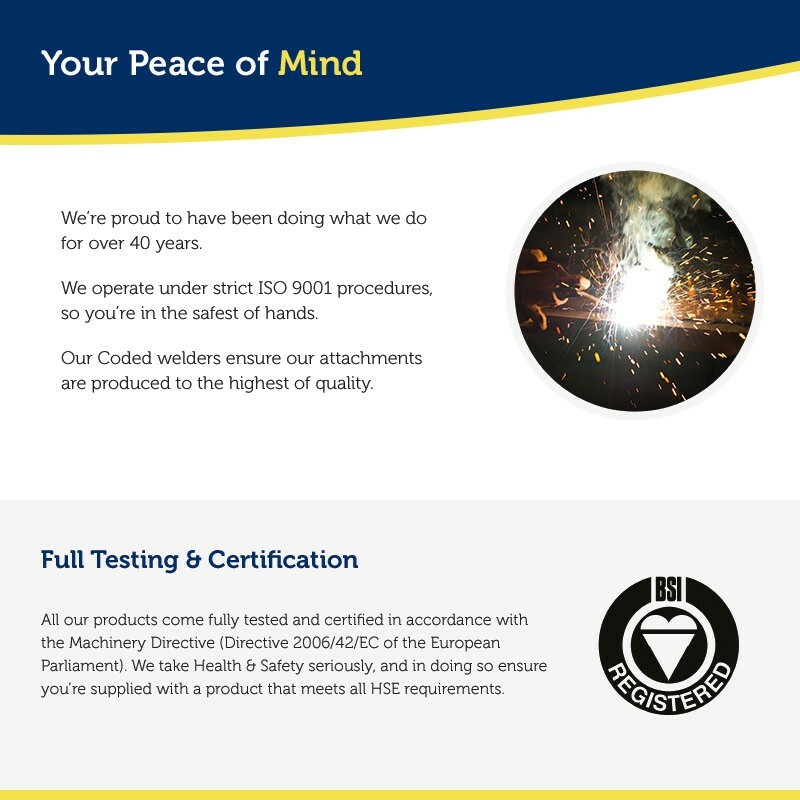 Excellent service and after sales support"
"We now have the ability to rotate 205L drums, no manual handling and keeps Health & Safety happy. Fast, efficient service. The drum rotator was not the cheapest on the market, but you get what you pay for"